We care for your loved ones and treat them like our own. We serve as an extension of your family making them feel that our facilities are truly A HOME AWAY FROM HOME. Our facilities, Marian Home-RCFE, Rincon Valley Gardens 1 and Marian House for Seniors are residential care facilities for the elderly serving people 60 years of age and older, located within the heart of Rincon Valley & Santa Rosa. It is easily accessible to major amenities such as regular hospital, fire department, community/senior center, banks, parks, and recreation including beautiful wine counties of Sonoma, Napa and Calistoga areas. All three facilities are licensed for six (6) beds, a non-medical facility that provides 24-hour care and supervision in a home-like setting. We provide our residents a safe and enjoyable environment to promote warmth and comfort with love. Qualified employees to treat all residents with dignity, respect, compassion, and sensitivity attain such quality of service. Our goal is to give the best quality of service to attain the best quality of care to your loved ones. 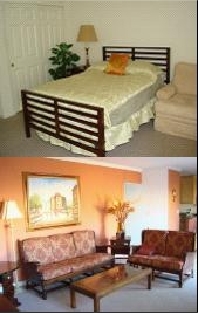 We focus on maintaining and maximizing resident’s independence and minimizing limitations. Our philosophy and purpose are dedicated to maintaining and building a resident’s independence and self-worth by meeting their needs in all aspects of their physical, intellectual, emotional, social, and spiritual needs. Get in touch with us today by calling us at 707-536-5738.